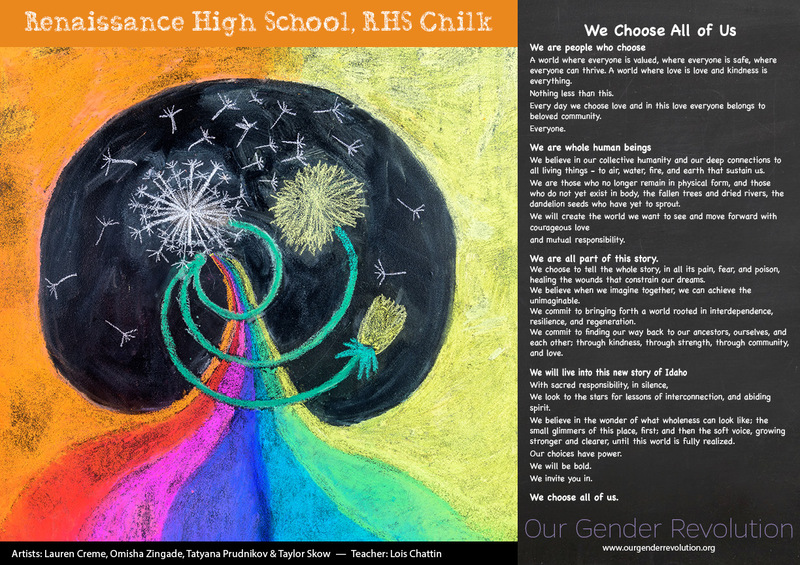 where we choose all of us. 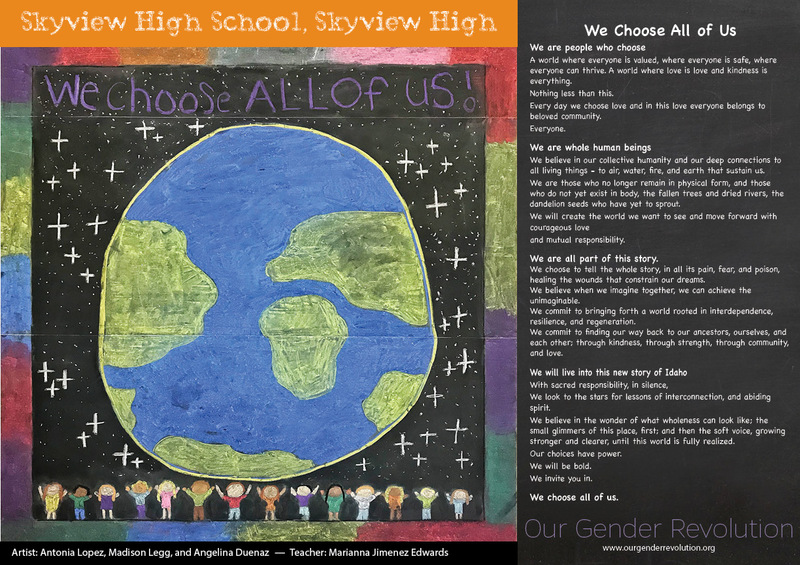 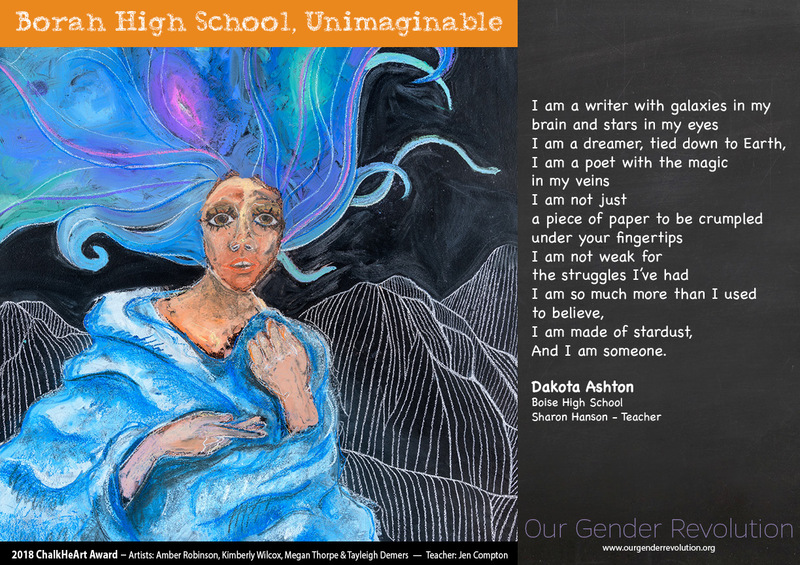 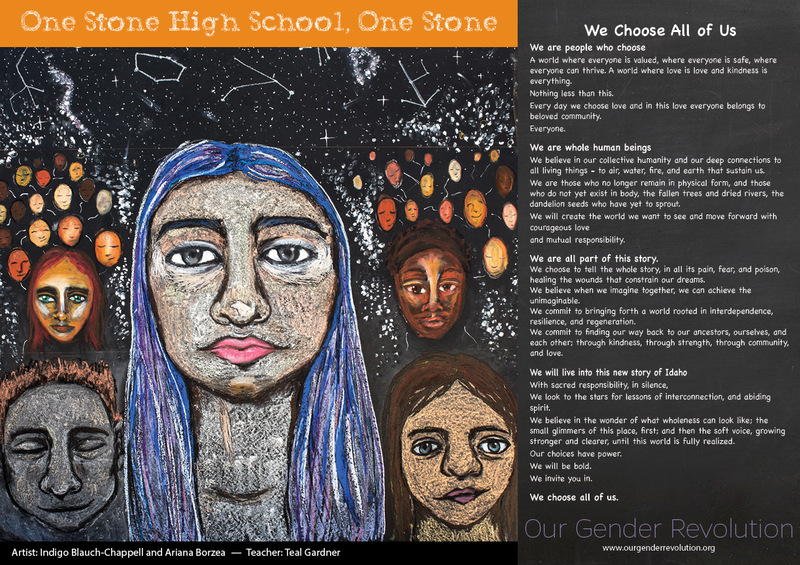 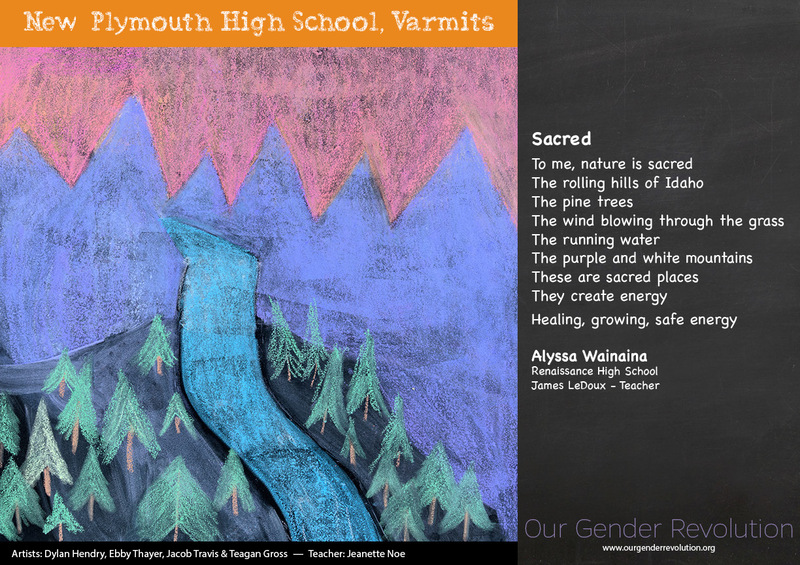 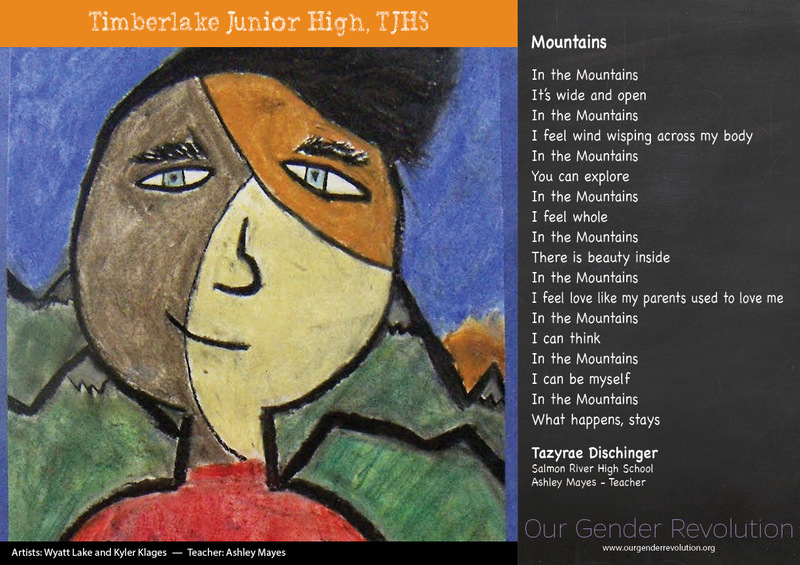 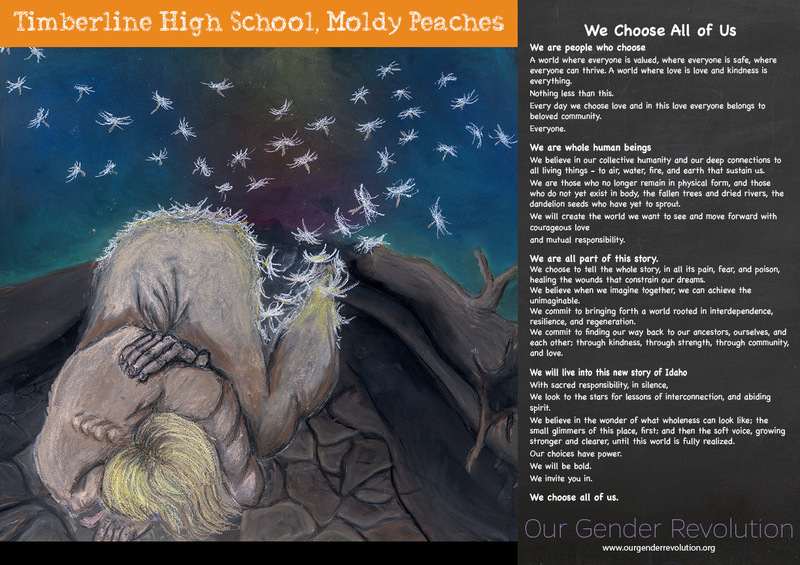 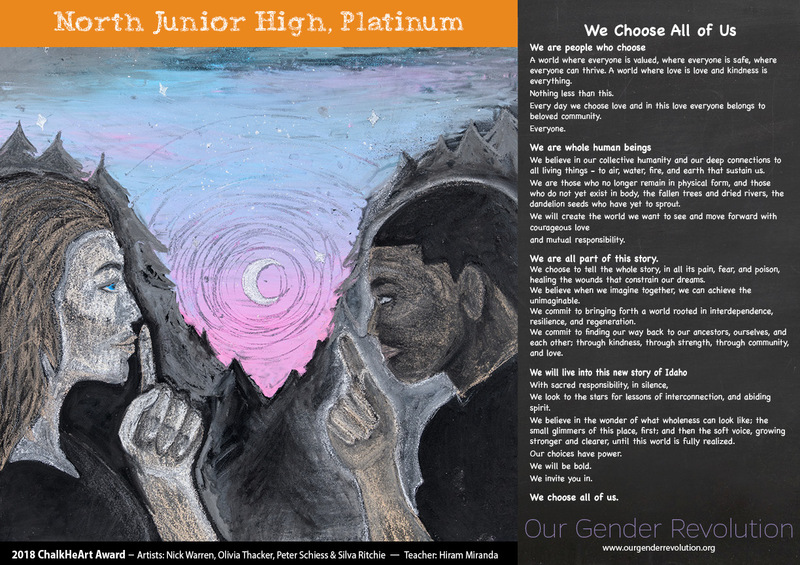 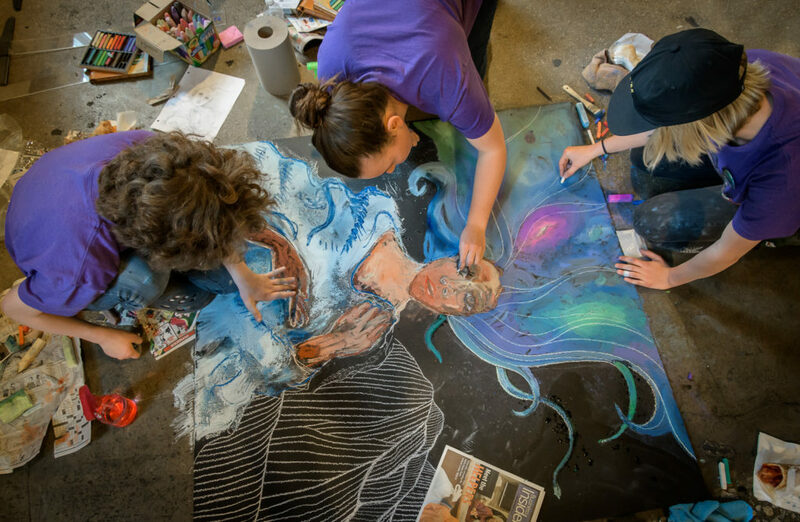 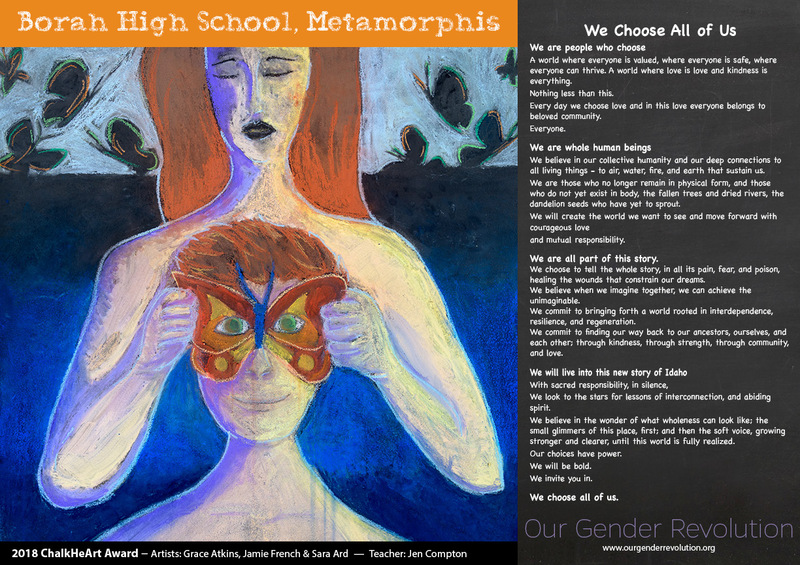 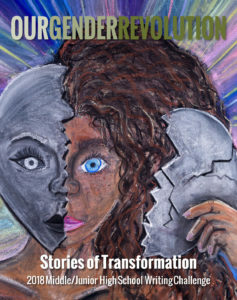 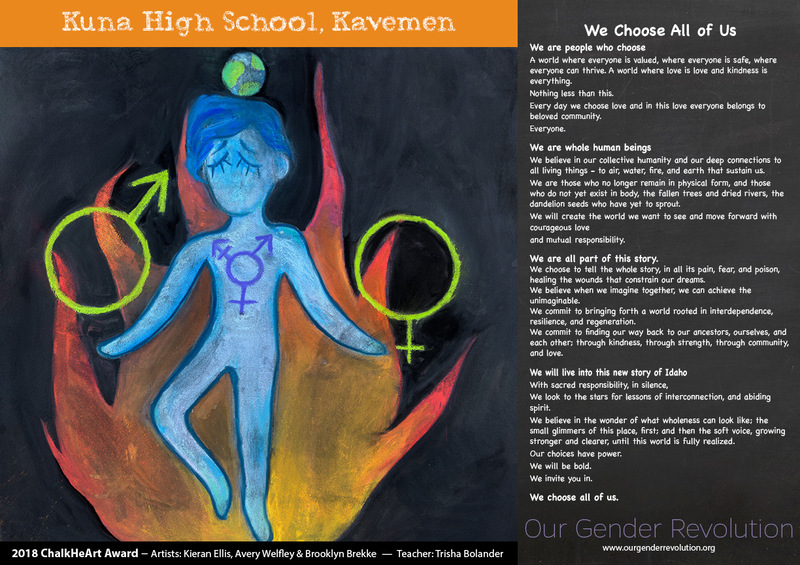 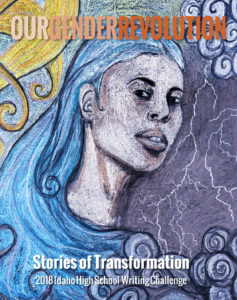 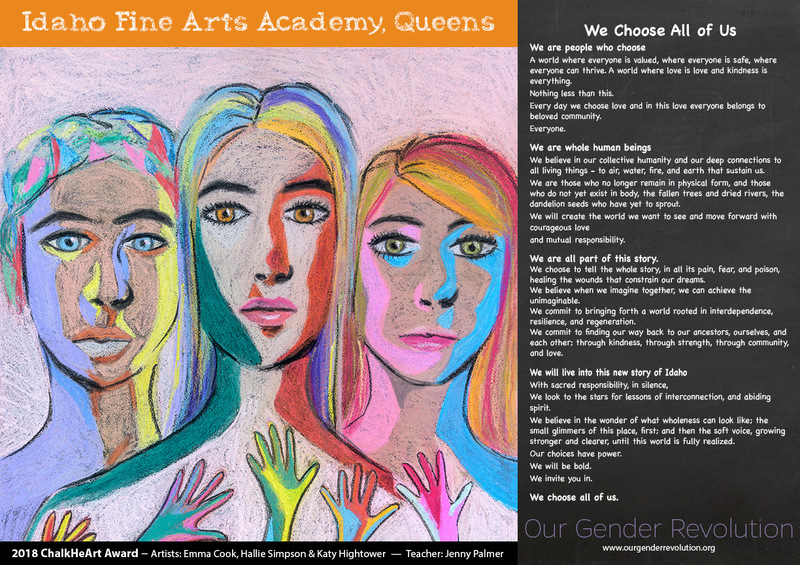 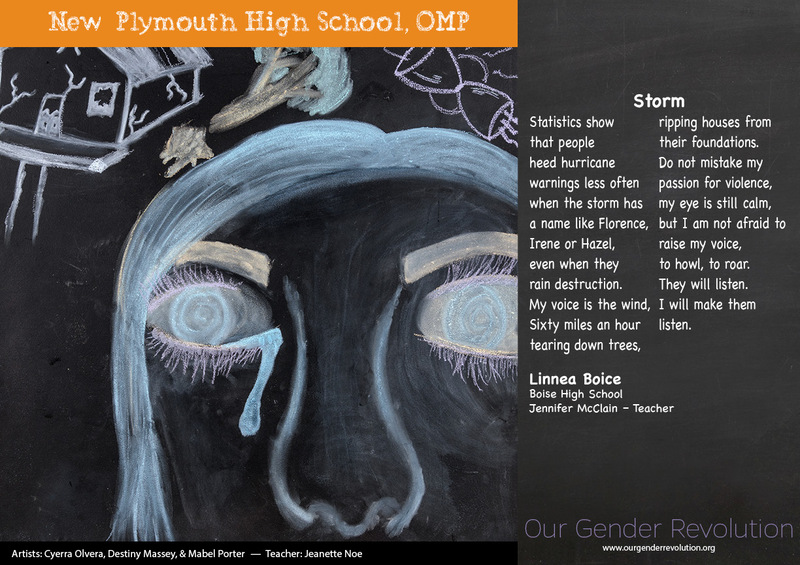 Idaho middle/junior high and high school artists illustrated published works from the 2018 Stories of Transformation poetry books written by Idaho students at the 7th Annual LIVE ChalkHeART Challenge on May 3rd at the Linen Building. 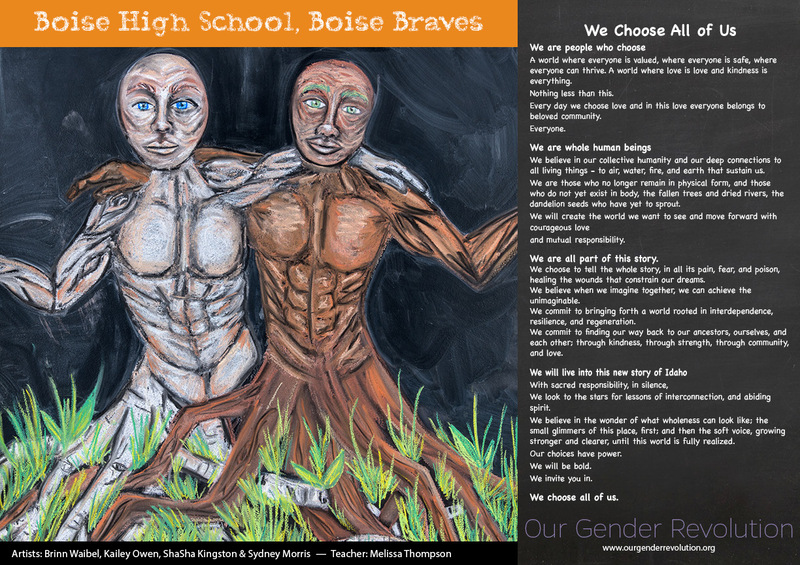 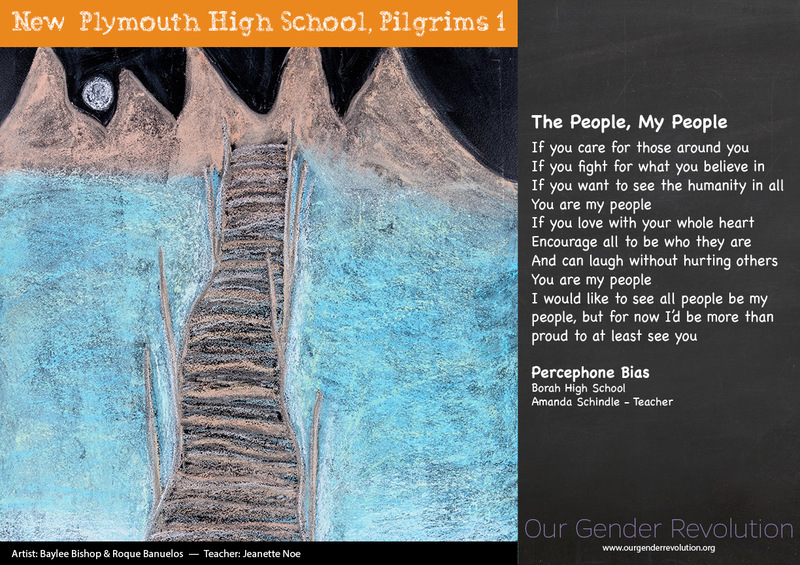 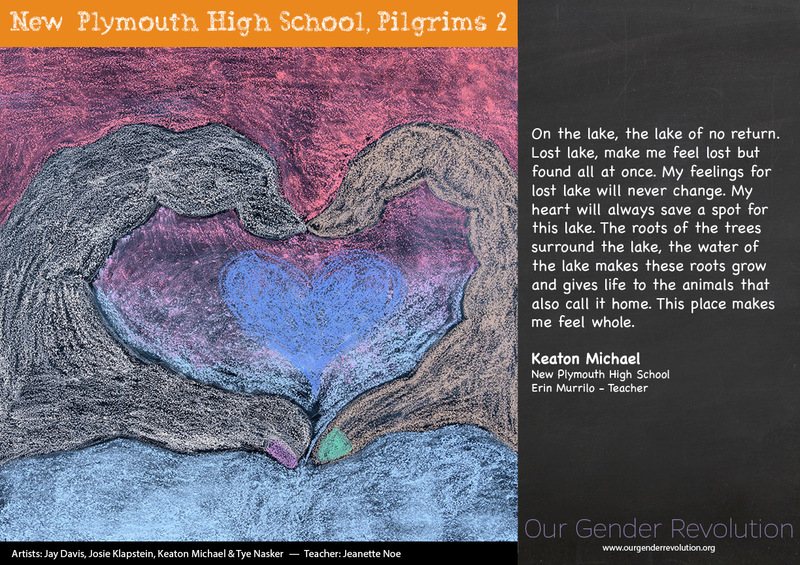 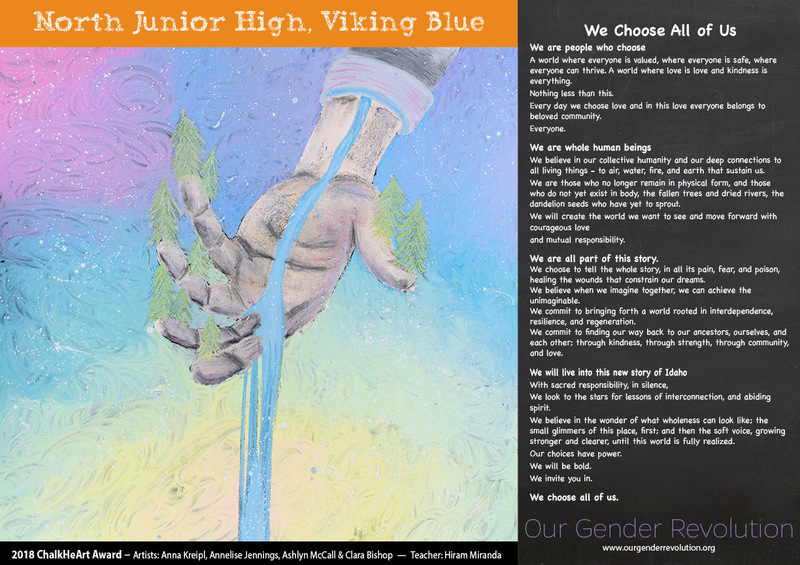 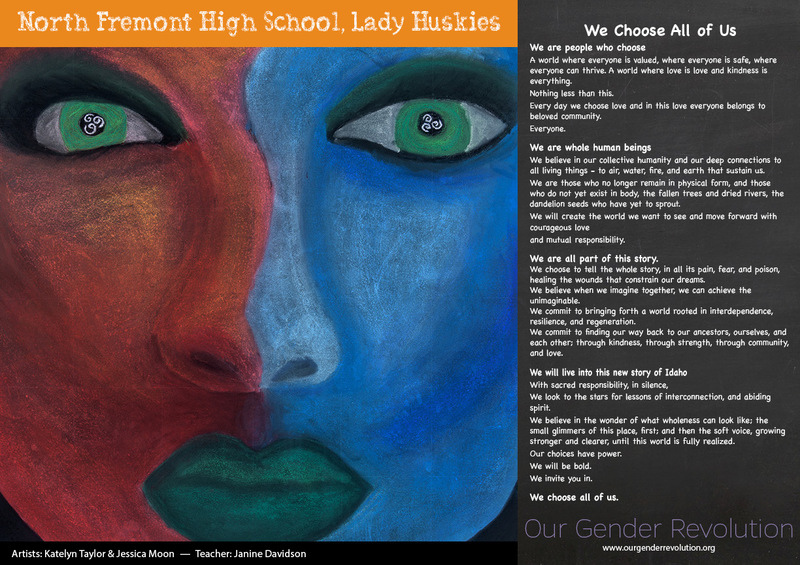 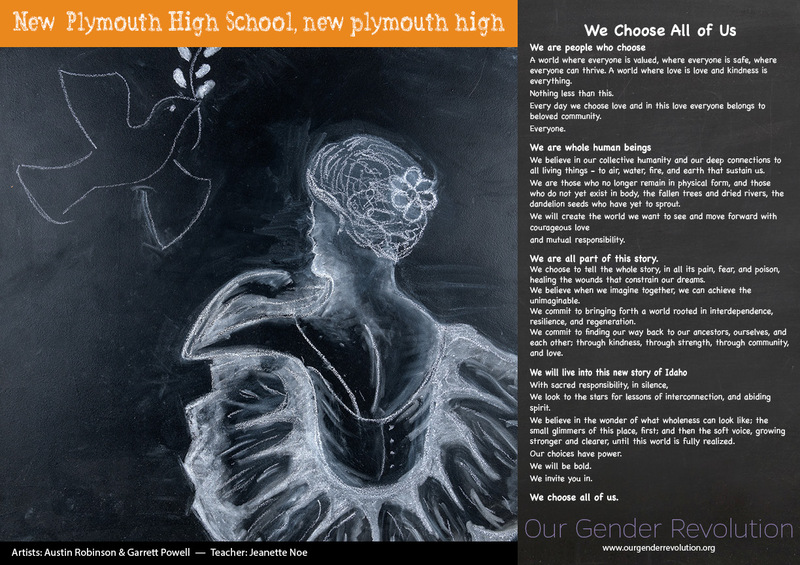 Over 20 teams representing more than 75 middle-school and high-school students from throughout Idaho participated in the LIVE, timed challenge to illustrate their selected poem from the 2018 Stories of Transformation poetry book or the poem We Choose All of Us. 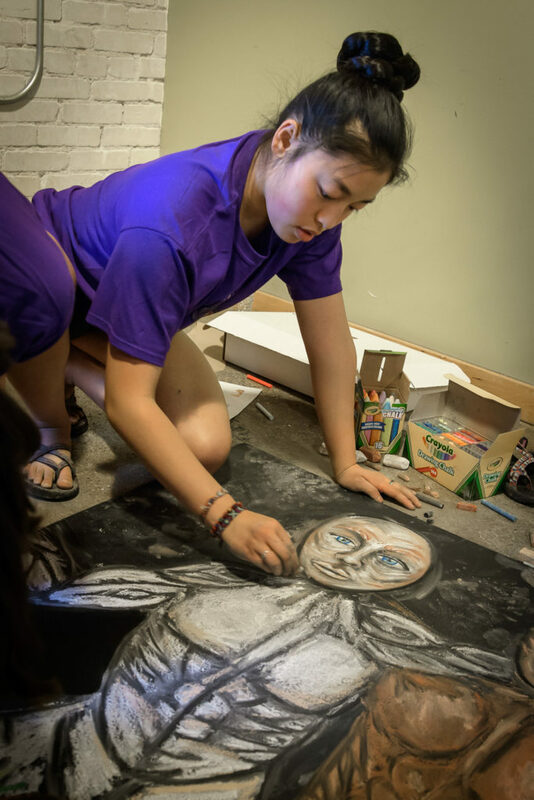 Statewide teams unable to attend the LIVE challenge also participated and submitted towards the Statewide ChalkHeART Challenge. 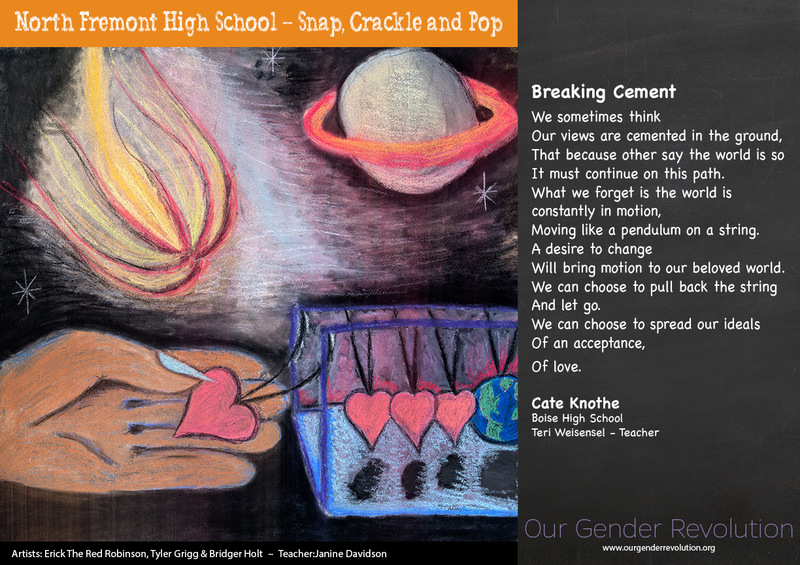 LIVE and Statewide artists/teams were selected for ChalkHeART Awards and received up to a $100 cash prize.